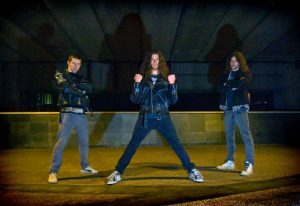 It seems fitting that in the same issue that we celebrate the legacy of Voivod that we also delve deep into DECEPTOR, a power trio from London, England. Though not musically similar to the Quebecois maniacs, there is a direct line between Voivod’s dystopian vision and Deceptor’s. Newly signed to Shadow Kingdom and with a new album ‘CHAINS OF DELUSION’ ready to be unleashed onto an unsuspecting world, Sam Mackertich (guitars, vocals – with a scream to beat Halford’s! ), James Ashbey (drums) and Paul Fulda (bass, vocals), are injecting new RAM into thrash’s overloaded motherboard. 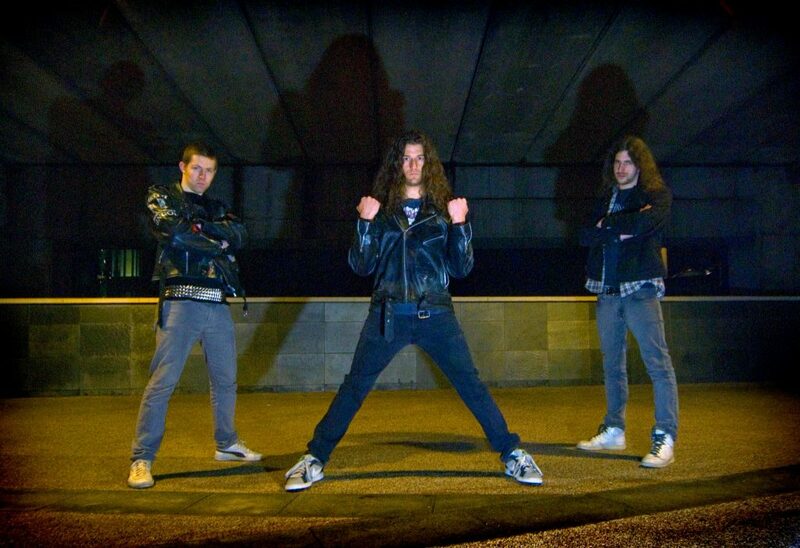 Having formed in 2005, you pre-empted, supported and have now outlived the mini UK thrash boom. Do you miss the scene’s peak? You must be happy with, might we say excellent, new release ‘Chains Of Delusion’ and the Shadow Kingdom deal? Does it bother you to be bracketed as Space Thrash? You’re all obsessed with Agent Steel, right? Speaking of space, isn’t Paul studying something ‘astro’ in the US right now? What exactly does he specialise in? Does your science brain factor into Deceptor’s lyrics at all? James, you edit the excellent metal and fantasy literature zine ‘Cimmerian Shadows’. Can we expect a third issue soon? You also promote shows in London, like Manilla Road recently. How is the state of the UK scene right now? By continental standards, you could also mean Greece, right? It must have been an honour to play with Dark Quarterer recently? That was a killer show. One of your live collaborators is the talented dancer Missy Philips. She’s pretty amazing and it always fits better than one might predict. How did you find her? Speaking of furious laser beams, congrats on the hilarious and cool ‘Heatseeker’ video, it sums up the band’s statement of intent. Final question. Is man doomed?